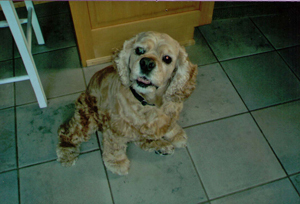 Kramer – Kramer lived a long, wonderful life of 15 years before saying goodbye to us! He was the sweetest boy and truly lived up to the moniker of “man’s best friend”. In his youth he possessed more energy and excitement than seemed possible for one small body. He was always happiest running at, or under, our feet, just as long as he could be with us. As he grew older, he still wanted nothing more than to share our company. Only then, he was content to lie there and get an ear scratch. And if we moved to another room, that was just fine with him. He’d trot along behind and settle back down next to us. We all miss Kramer very much, but are comforted by the belief that he can now run again, and is doing just that with his little “sister”, whom we lost five years earlier. Kramer was a dog of boundless energy and love. Goodbye old friend! “Bear” – Bear passed away on March 27, 2010, but during the 12 short years he was with us he gave us so much love and affection. Our hearts ache that he is gone, but the memories will always be with us. God bless you Bear – we will never forget you. “Maggie” – She came into the world some time around Valentines Day. I found her at the pet store that was near Krogers at Eastgate in April. She was there with her brother in a cage next to her two sisters. All four of them had “pie-eyes”, one blue, one brown and all were furry and active; they had been brought in from a shelter. The signs on the cages listed them as border collie-husky mix-breed. I new a wanted a female companion and I was first drawn to one of the two “girls” sharing a cage. She was a good girl, but I was looking for a “Maggie” and she was a “Smokey.” Maggie was with her brother and when I held her she seemed just a bit cuddlier. So the next day I borrowed a cage from a friend and then went to “rescue” my girl. That was Holy Thursday 1993 and they told me she was 7 weeks old. It was a difficult weekend as I had never done puppy before and it took several nights to understand her continuous barking there in the kitchen was because she was lonesome. The neighbors said she looked like a little bear cub as she was so furry and the tips of her ears were folded over. It was a few weeks before they stood up, first one ear, then the other. She stalked me from beneath the sofa and liked to lie on my stretched-out legs to nap. She was insistent on learning to walk up my legs to join me if I sat on the sofa that is until she could make the jump. She grew to be an incredible jumper. I remember when she was next to me on the sofa moving around and managed to turn herself over in a somersault and the accusing look I got as if I had done it to her. Those first 6 months or so were testing. It wasn’t until private lessons because “puppy school” wouldn’t let us come back with out them, and switching from the rope to the invisible fence in the same month that she began to accept me as “alpha” and she was “beta.” Her first experience with snow was fun. I opened the door and she was not quite sure whether to step outside. It wasn’t long before the “husky” in her took over and she became my “snow dog.” She preferred to chase after a stick when it was thrown rather than a ball but she would catch snow balls until your arm fell off from throwing them. Yes, she had the husky sass and would “talk” to me when I wasn’t doing something fast enough but the border collie in her was dominant and she was a smart as they come. I learned patience and she was my sweetheart. She liked Frosty Paws and most snacks, although the rawhide bones were given up the last several years. They were no longer interesting or tasty I suppose. She also liked Country Lane Kennels. Our two tries at her staying away from home ended up in her not looking at me for about the first half hour after I picked her up the second time. It had been a short stay of may be 3 days. But boy! They didn’t like her and she didn’t like them. They labeled her as a “biter.” A co-worker told me about Country Lane so I gave it a try. When I came to pick her up, you could still park near the office. She ran back and forth to the car and me and back to the owner! For a short moment, I was a little taken aback; didn’t she want to come home? Well 3 owners later, I couldn’t pack her bag unless I did so clandestinely because as soon as she saw a bag or my suitcase, she was ready to go and visit with Randy, Mary and all her Country Lane friends. It’s been difficult to be without my girl. About month shy of her 16th birthday, her Cushing’s Disease and arthritis started to get the best of her. Over the last few years she’s been slowing down and the last few months getting up and using the ramp seemed to be taking more effort. Those last few nights we when said goodnight, her eyes were telling me she was feeling her age. I promised I would not be selfish and when the Vet said is was “time”, well it was the worst day and hardest decision of my life to date. Saying goodbye and signing the papers ranked somewhere between horrible and terrible. I thank Randy for this Tribute section in his website because she was “my girl”, my best companion, loyal and trusting friend. I fell terribly ill in 2002, life-threateningly so and she was there keeping me connected to the world and life. She gave me far more than she ever asked for and I need for others to know, she was here, she mattered, she made difference to me, and she was loved. 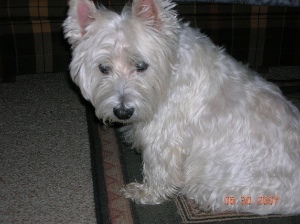 “Belle” – Belle was the sweetest dog anyone could ask for. She was a rescue dog from the Clermont County Animal shelter and loved everyone. What joy Belle gave me and all those she came in contact with and I feel truly blessed to have had her in my life for 8years. She loved to play and when she wanted attention she would either paw at you or take her head and lift your hand so you would pet her. She also loved to have popcorn parties. Thank you Belle for being my best friend and family member as well as putting a smile on my face everyday, always lifting my spirits, and making my life a happier one! I just pray that I can be half the person Belle thought I was. Belle, you are going to missed so much but you will always be in my heart. You are the best!! “Arrow” – We learned a lot from Arrow in the few years we were able to spend with him. We’ve never met another dog who could genuinely smile like Arrow. Here’s a guy who really taught us that love is patient and love is kind. Arrow always had his own pace, and he taught us to appreciate all the little things around us, even if it was the tiniest flower along our walks. Arrow is in a better place now where he has the strength to run and take in all the little things. We will miss him. “Buffy” – Buffy came into my life when she had just turned four, and we were just meant to be together; in many ways we were kindred spirits. She was so much fun, so full of personality, so smart, and brought me so much joy. She loved to play catch and keep-away with her toys and would do a number of tricks for a tasty reward. She loved a French fry or a lick from an ice cream cone. She liked to go for rides in the car. She took afternoon naps with me on the couch. She was a happy dog, with an irresistible smile, soulful eyes, and a cute little tail that was always wagging when she welcomed me home or looked expectantly for a treat. 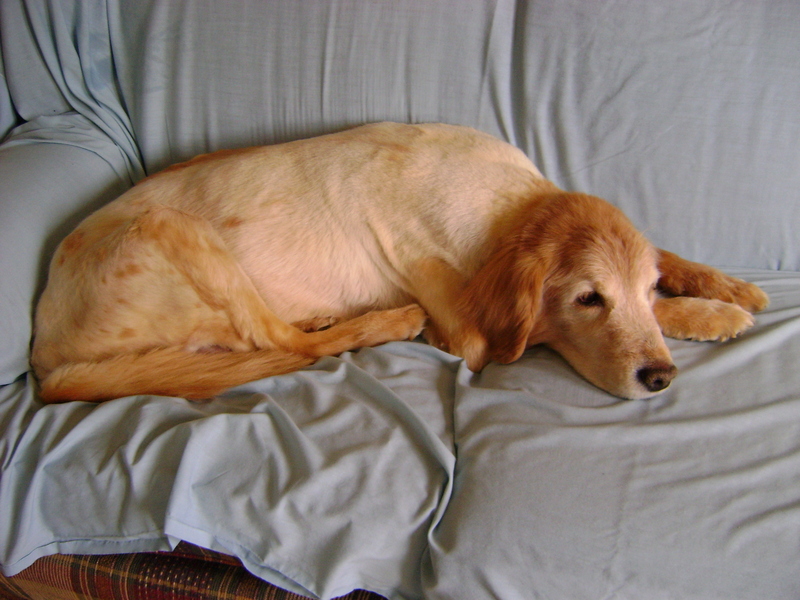 Buffy was diagnosed with lymphoma in October, 2006, and underwent chemotherapy successfully for a number of months until it finally no longer was effective. She passed away on July 11, 2007, three months after her ninth birthday. 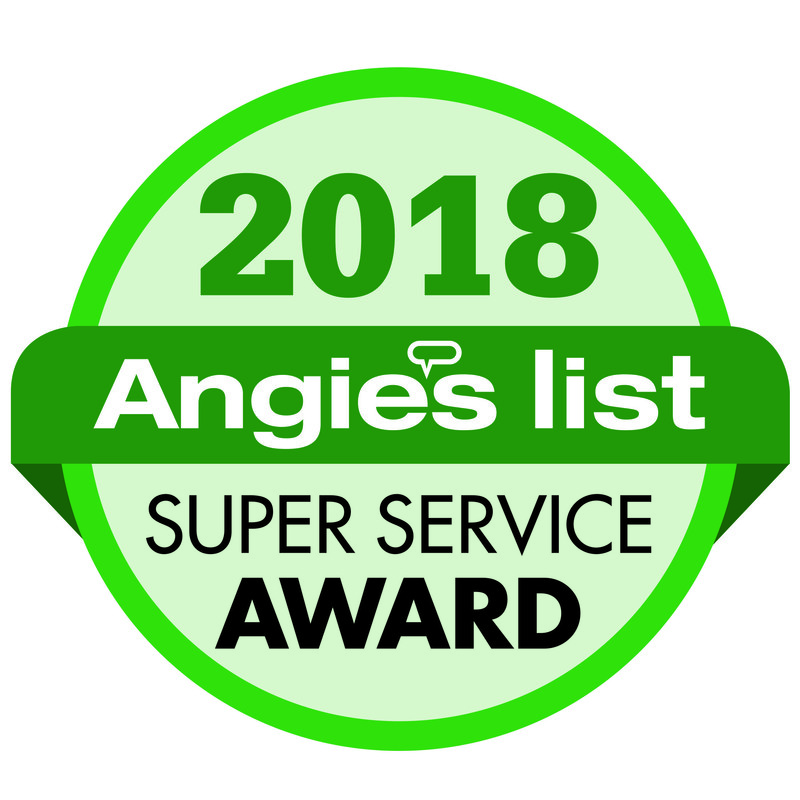 Besides Connie, her mom, she was loved and adored by many of mom’s friends, and friends from Highland Heights Animal Hospital and Country Lane Pet Resort. Her absence leaves an empty place in our hearts. 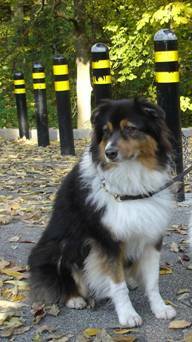 “Liddy” – Liddy was a dog of many talents. She could “read a frisbee” and catch it with grace and style. She began picking up sticks to drag around the yard as a pup loving to chase and retrieve them where ever she could find them. She visited nursing homes and hospitals with calm, delighted to see the joy she brought to those she visited. Sitting on the sidelines at soccer games and track meets were special, as she lent her barks to the cheering. Training was a pleasure for her, accepting the challenge. Attaining a goal would spark a light in her eyes. She died an untimely death but will remain with us, our heart dog. 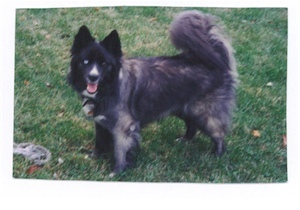 “Kona” – Kona was a loving and loyal companion. 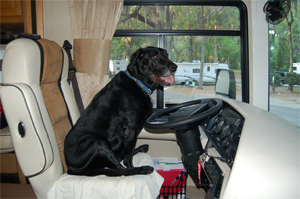 He loved to be around people, chase sticks, eat just about anything and was always ready to travel. 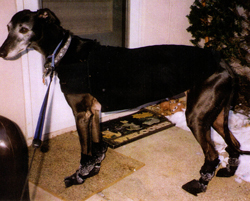 He was a special dog with a gentle yet strong-willed spirit. He was a happy guest at Country Lane for many years and got to know and love Randy and all of the staff. He is dearly missed by his “parents” Debby and Sandy. “Lady” – Lady was a sweetheart. She loved everyone and everybody loved her. Lady is deeply missed by her owners and the staff at Country Lane Pet Resort. 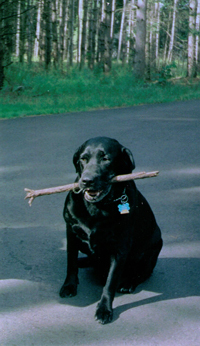 “Sidney” – Sidney was always a stick fetching type of dog, and this picture was taken after a game of fetching the stick. Sidney is missed dearly by John & Kathy and the staff at Country Lane Pet Resort. “Poochie” – Poochie loved and accepted everybody. She is greatly missed by her best friend Muffin, Dave & Holly, and many school children and nursing home residents, with whom she loved to visit and share her special joy and delight in life. Poochie is also missed by the staff at Country Lane Pet Resort. 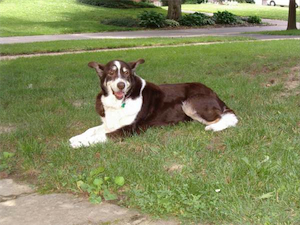 “Thunder” – Thunder was a wonderful and very special dog. He was always so well behaved even while going through 2 years of cancer treatment. Thunder had to have 1 or 2 or preferably 3 balls with him at all times. He loved Randy and everyone at Country Lane Kennels who cared for him so lovingly. 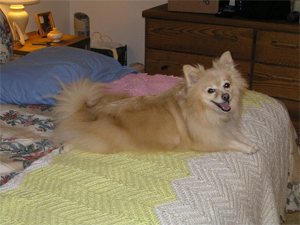 Thunder is missed by his owners Toni & Fred and the staff at Country Lane Pet Resort. 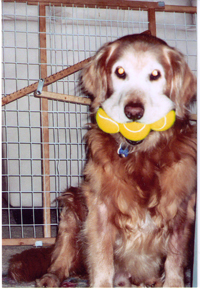 River “Del” Woodruff – July 3, 1993 to April 17, 2006. When our “Del” passed away, a cloud turned into an angel and flew up to heaven to tell God to put another flower on a pillow. A bird carried the message back to the world and sang a silent prayer that made the rain cry. Then quietly and privately, deep in our hearts, we are content to know that God has given her a heaven of cloud pillows to lie on. Afterall — GOD is DOG spelled backwards! You’ll always be in our hearts sweet Del!